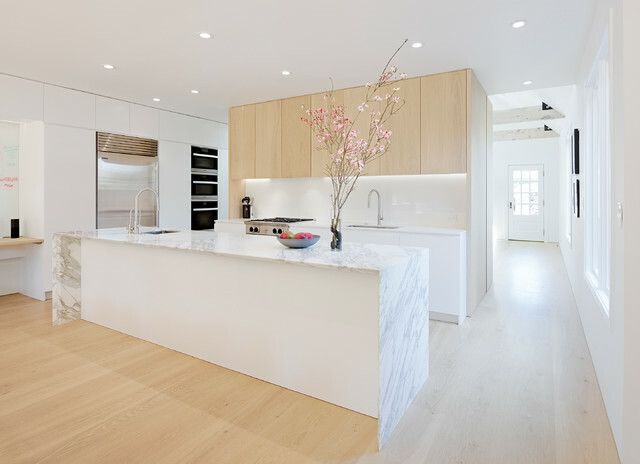 Clean, simple, uncluttered. 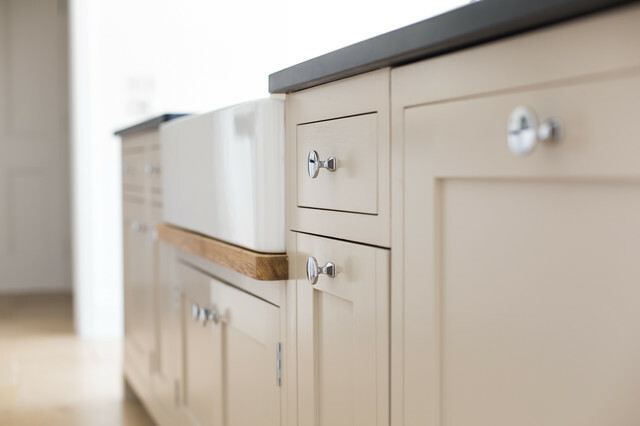 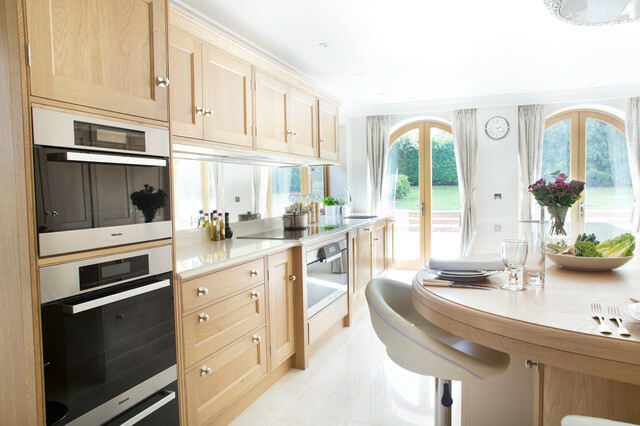 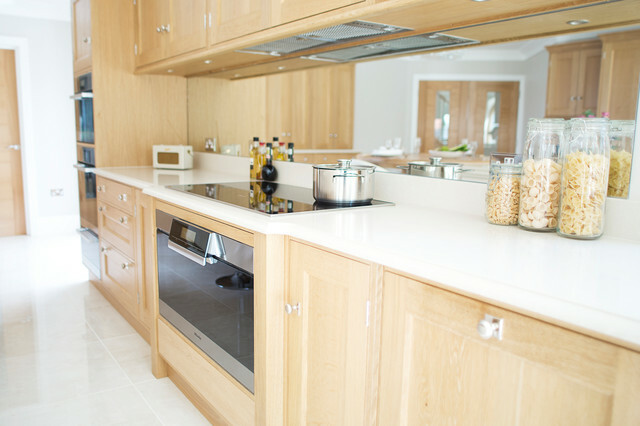 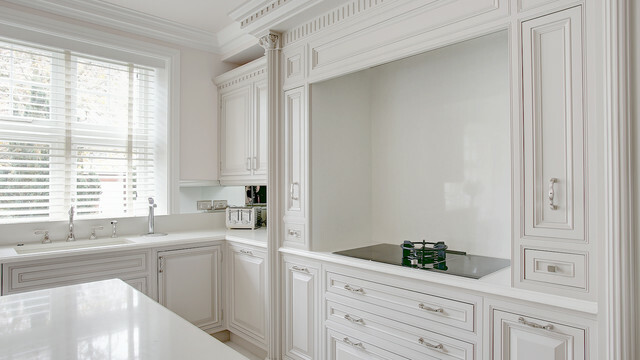 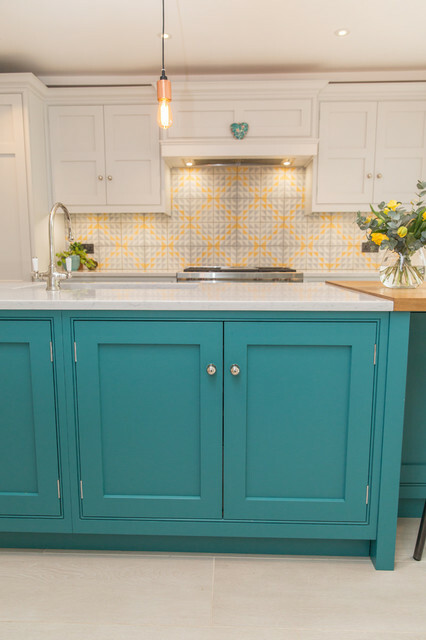 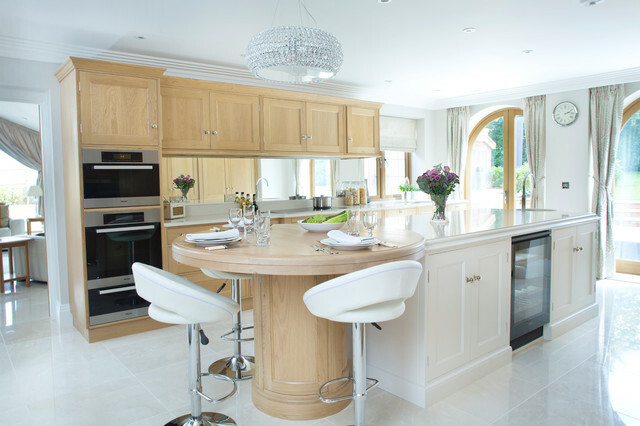 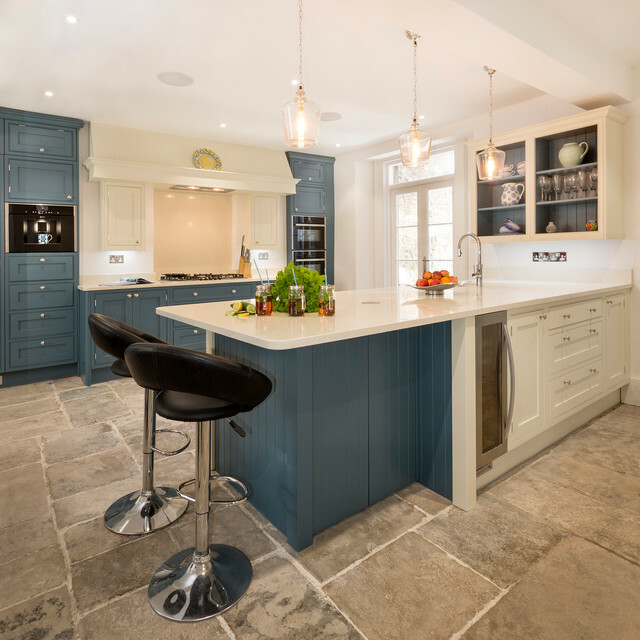 This elegant oak and hand-painted kitchen features an understated bevelled door detail which lends the room a classic, timeless style. 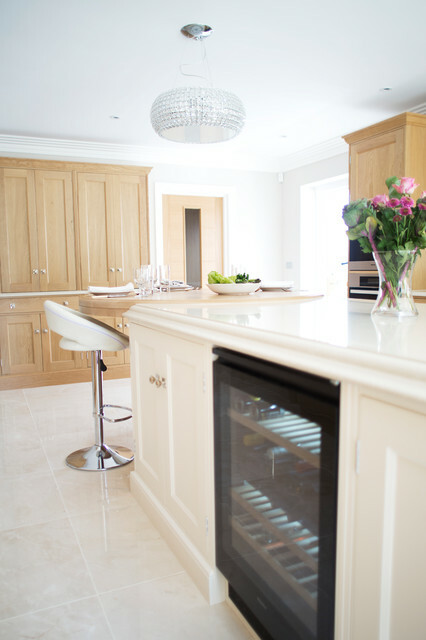 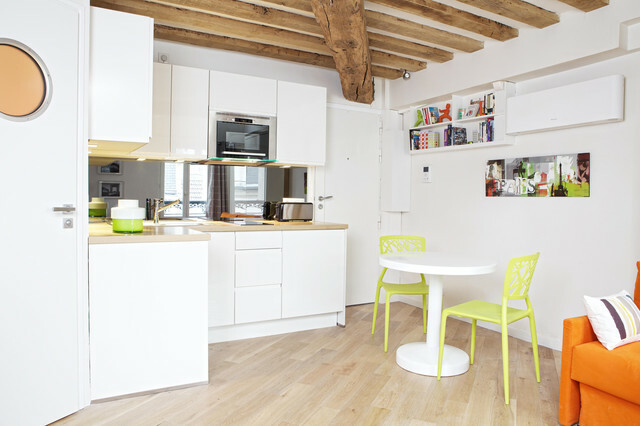 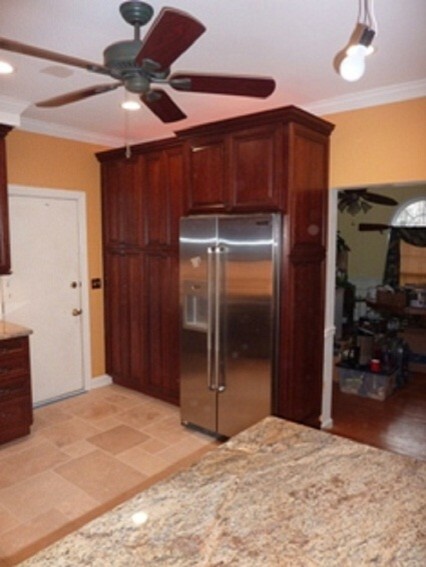 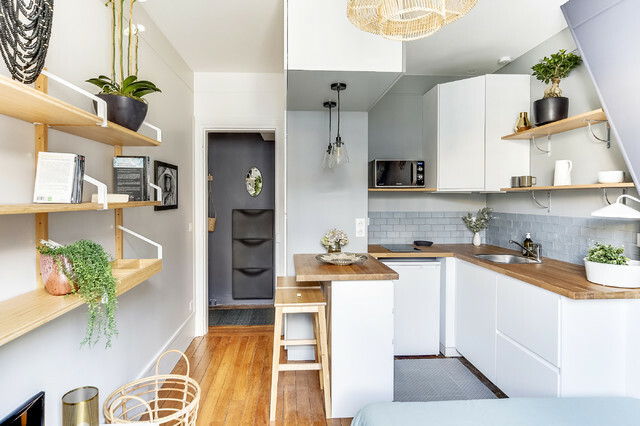 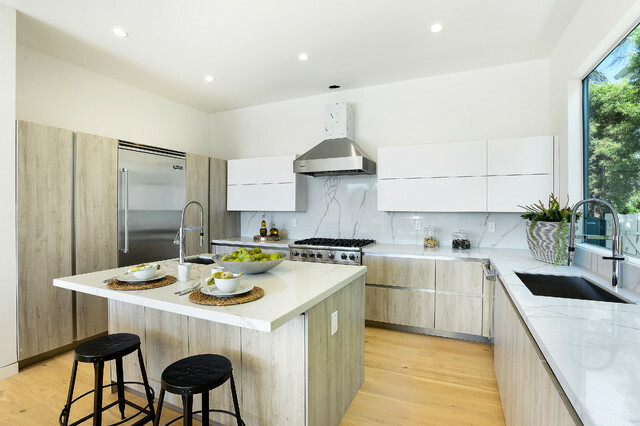 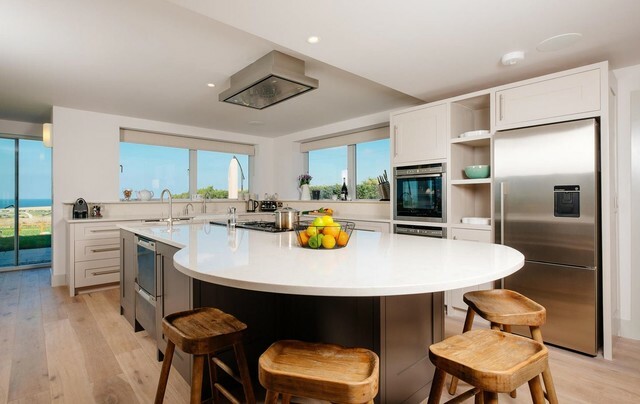 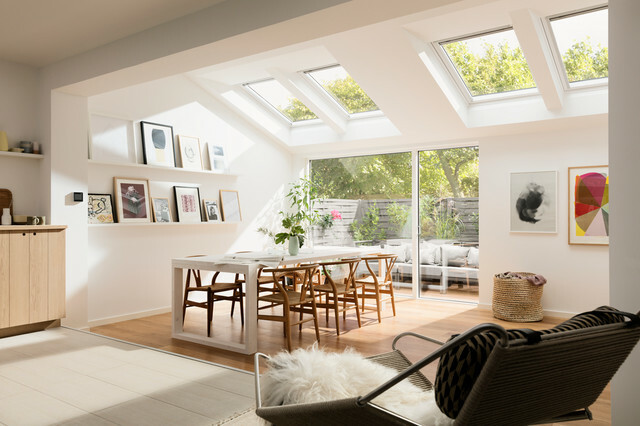 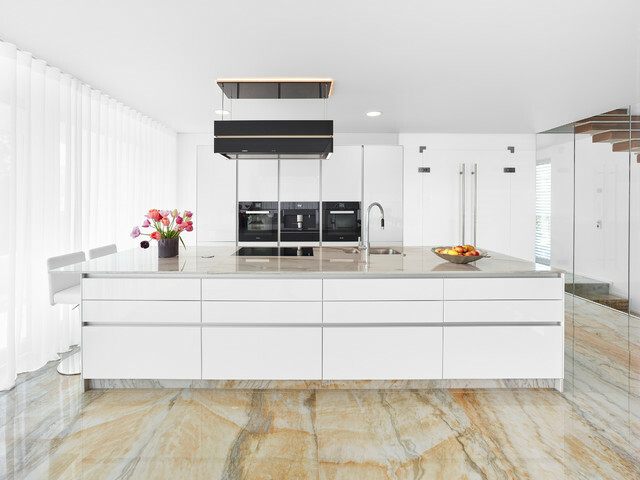 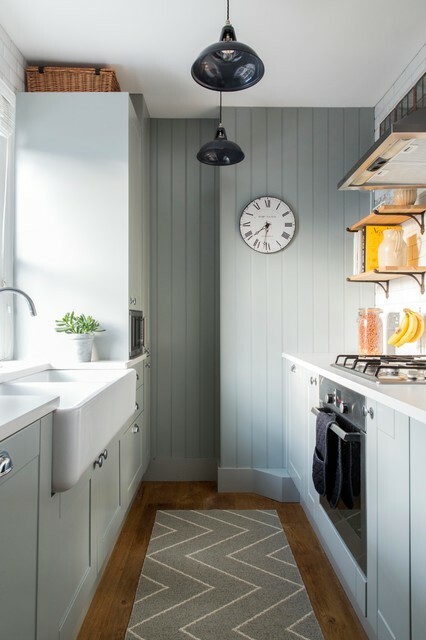 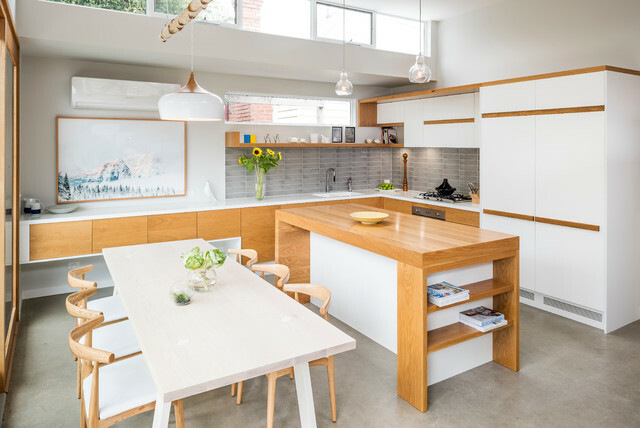 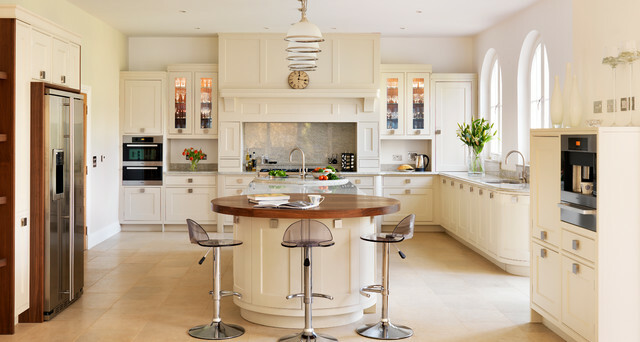 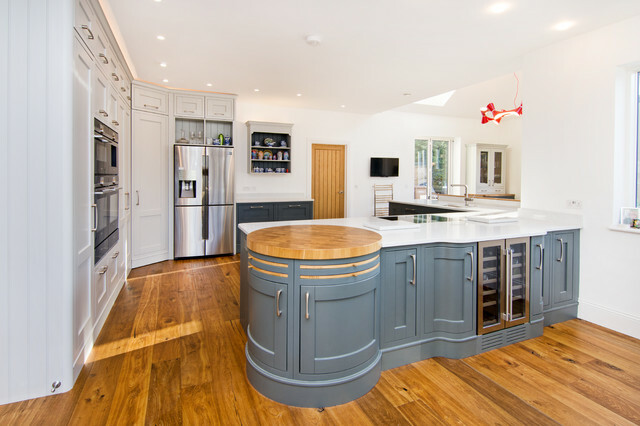 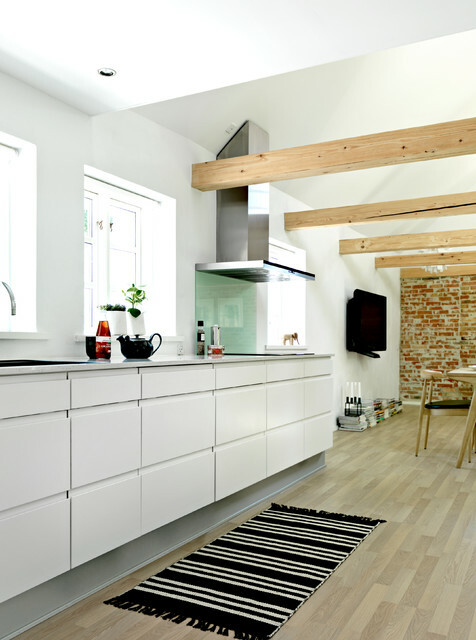 The layout flows around the central island which houses a built-in wine cooler and has a circular prep sink at one end balanced by a larger, circular solid oak dining area at the other. 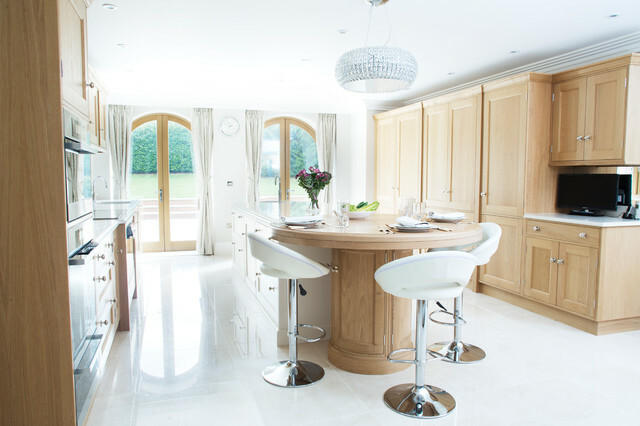 These curves complement the two arched doorways at the far end of the room, filling the space with light. 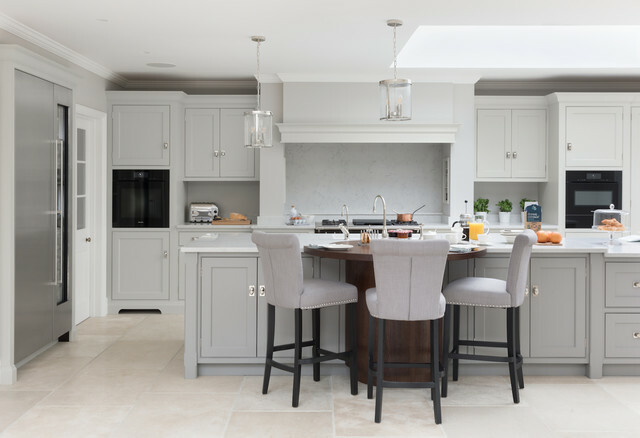 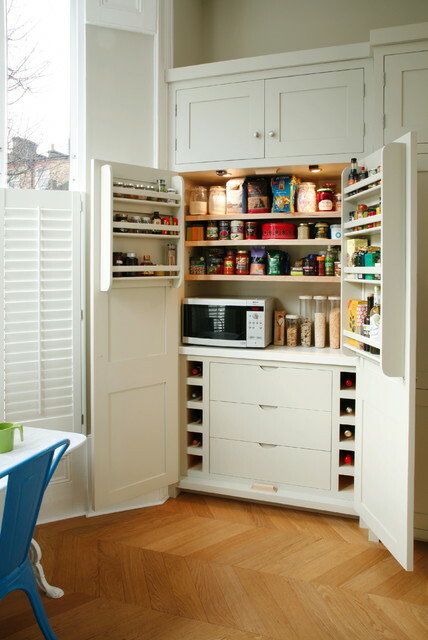 Plenty of storage has been provided thanks to a traditional larder with oak interiors and twin double-door butler cupboards. 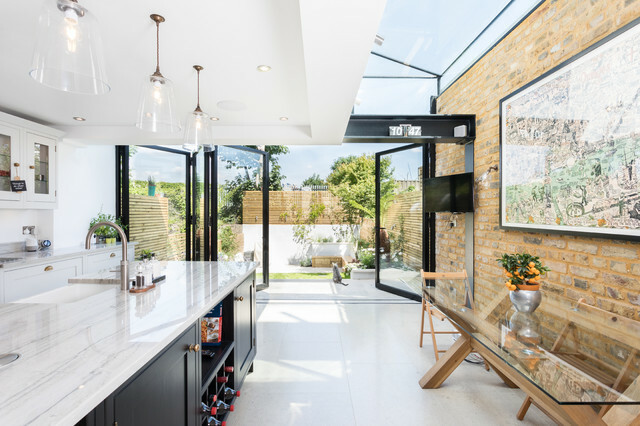 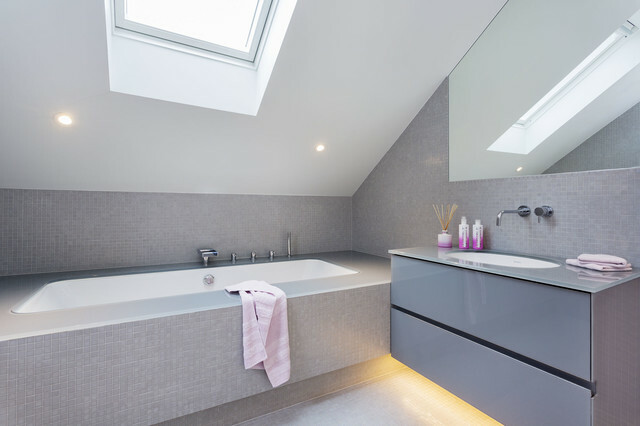 Finishing touches include Miele appliances, quartz worktops with a profiled edge detail, a mirrored glass splashback and polished stainless steel handles. 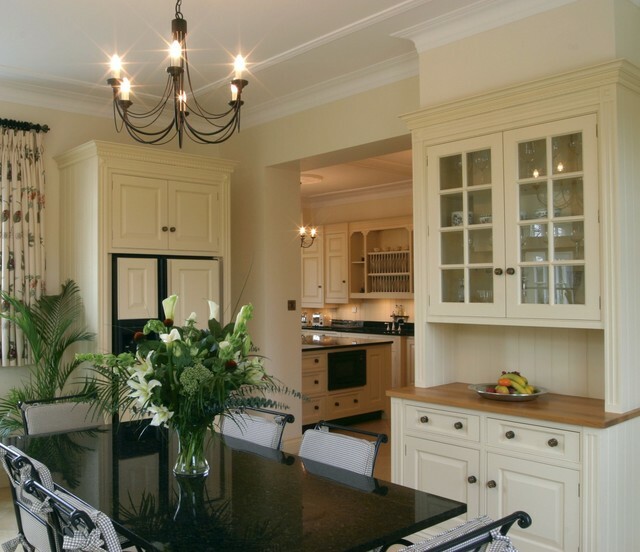 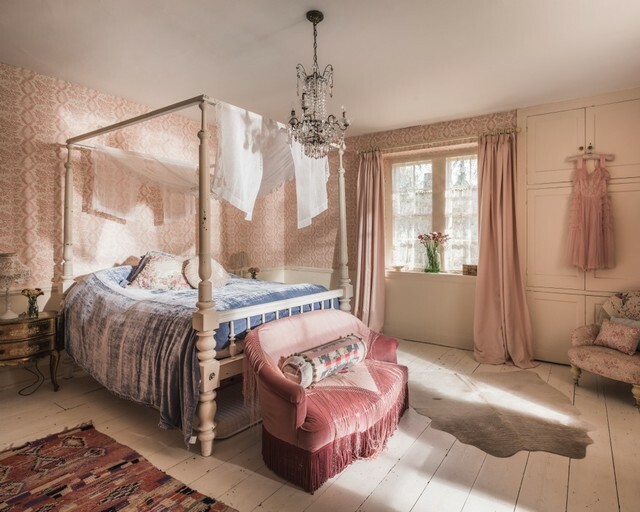 Aldeburgh | Classic Elegance For A Country Home.